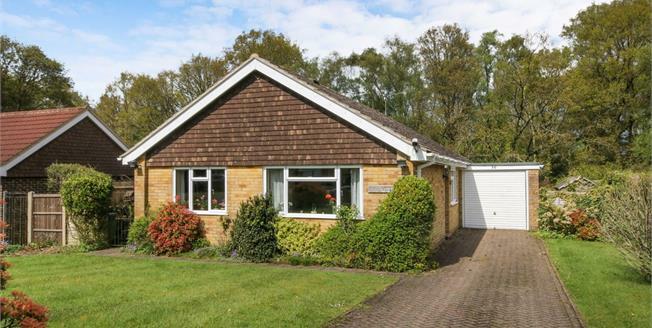 This well maintained three bedroom detached bungalow is situated within the popular Waggoners development on the edge of Grayshott Village. The accommodation comprises a large reception room, kitchen, three double bedrooms and a bathroom. Outside the rear garden is mainly laid to lawn with mature shrub borders, and there is off street parking to the front leading to a single garage.